When Janet was a little girl she had a dream. 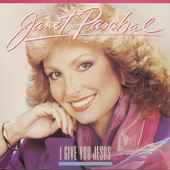 Janet Paschal's dream was to become a professional Christian Music artist. Her family's musical background helped spark her love of singing, and she did indeed begin singing professionally after high school. In the early 1980's, Janet Paschal was a part of the group, the "Nelons." After that, she joined the Jimmy Swaggart Evangelistic Team. In 1986, she went out on her own and released the album, I Give You Jesus. Although Janet is known for her ability to incorporate several musical styles in one album she is most often considered to be an inspirational and southern gospel singer, and has become a regular on the Gaither Homecoming Concert Series. Janet's most recent album, "Home Again," was released in 2004 by Maplesong Music. This project, like most of Janet's recordings, offers a wide variety of musical styles. Janet handles all of them well. She invites some friends to join her on this project as Brian Free and Assurance join her on one song and Sonya Isaacs joins her on another. The project has some old songs and some new ones and some songs Janet wrote and some she didn't. The project is a terrific collection of music, inspired by God and guaranteed to bless the listener. (Scott Evans, The Southern Gospel Music Forum). In January of 2005, Janet was diagnosed with Breast Cancer. She is currently undergoing chemotherapy, and updates of her conditions can be found on the Janet Paschal website, www.janetpaschal.com. Janet Paschal is very thankful and feels so abundently blessed to have the family and friends by her side that she does. She calls them her "prayer warriors," and has seen the Lord on many other occasions answer their prayers and display His awesome faithfulness to them. Her husband, John, is her rock, and Paschal states that he is "completely supportive and unwavering in his belief that God will do what He promised just because He said so. End of conversation." Performed "Another Soldier's Coming Home" for national ceremony re: The Unknown Soldier's Cemetary in Washington, DC. Top Ten Favorite Female Vocalist, music poll, three consecutive years. More than 120 concerts each year, including guest appearances with Rev. Billy Graham, Bill & Gloria Gaither, President George Bush, and others. Janet moved to Nashville in 1992. It was then that she became the official spokesperson for an international Christian relief organization called Mission of Mercy. 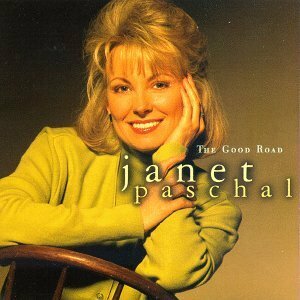 In 1997, Janet Paschal wrote a book entitled, "The Good Road." The title is reflective of what is found in the book of Jeremiah, which is her favorite book of the Bible. Of her life, Janet says, "I conclude simply that, for me, there is no other way but to follow Christ. To study Him. To pursue Him. He has carved a place in my heart that yearns for Him."